After reading the Anthem's recent State of the Union summary of Seattle’s Taste Washington, Portlanders will have their chance to experience this event as it comes to Pure Space on Monday, April 23rd. 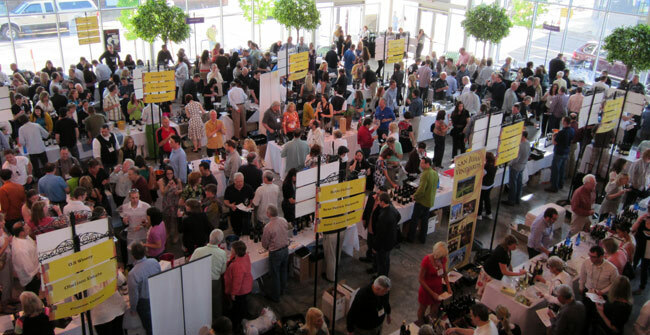 75 Washington wineries will pour their wines alongside tasty fare from 9 local restaurants. Bar Avignon, Wildwood, Cheese Bar, and Laurelhurst Market are some of the restaurants that will have an assortment of culinary delights to pair with the wines during the event. 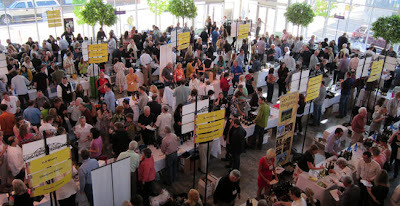 This is a great opportunity to try wines from Washington wineries not readily available in the Portland market. Wineries will be pouring a selection of wines from their current releases, but it’s an excellent chance to find out more about all the wines they make. Did you know Chatter Creek is one of the few Northwest wineries that makes a Nebbiolo? Baer’s “Ursa” was #6 last year on Wine Spectator’s 2011 Top 100, but which other wines do they produce? Hestia’s Chenin Blanc is a rare Northwest treat, and their reds are consistently excellent across the board; have you tried them? Maybe you’ve heard the buzz about Gramercy, but haven’t been able to track down their wines. This is your lucky day. Read through the full list of participating wineries here, and check out their websites to find out more about their wines. If you are a diehard <fill in your favorite type of wine here> fan, find out which participating wineries offer that type of wine; ask them about it during the event. It will save you a few e-mails or phone calls, and you can get much more information in person. Check the event wine list as they may possibly be pouring your favorite for the event. The wine list will update as the wineries finalize their selections. Tickets are available here on the Washington Wine website.